The last high king of Ireland Brian Boru had his ring fort – known as Béal Ború – here on the shores of Lough Derg until he was killed by vikings in the early 1000s. Today visitors can walk, cycle or paddle along the lakelands and enjoy the many heritage and archaeological sites, including Béal Ború, along the way. The blue way stretches from Clare into counties Tipperary and Galway and there are over 20 paddling trails. Amenities: There are wheelchair-accessible routes, toilet facilities and information points along the blue way. Opening hours and costs: Walking and cycling is FREE and available daily but kayaks and canoes can be hired prior to the trip. This medieval cathedral for St Fachtnan was built circa 1189 on the site of an early monastery. The interior contains authentic carvings – in the form of stone heads – on grave slabs, windows and doorways. Beside the cathedral is the Burren heritage centre where visitors can learn the area’s history through an audio-visual and multimedia exhibition. Amenities: There is a craft shop, toilets and tea-rooms on site and there is full wheelchair access. Opening hours and costs: The site is open daily 9.30am-5.30pm and entry is FREE. Within the museum collection are various complete aircraft, cockpits, jet engines and components. There is also a B747-800 NG flight simulator on site for visitors taking the aviation experience tour. Guided tours are subject to availability and young Scouts can earn their Aviation Badge with a day out at the centre. Amenities: The centre is fully accessible to wheelchair users, there are toilet facilities and free parking. Opening hours and costs: Entry costs €7 for adults and €4 for children and the centre is open Monday-Saturday 11am-4pm. The aviation experience tour costs more. Visitors to the peninsula, which is rich in maritime and military history, can explore how the people suffered from the effects of the penal laws and the Famine. An audio guide tells the story of the 18 heritage sites on the trail and visitors can go by foot, bike or car. There is also a contemporary art gallery and exhibition close by at Kilbaha. Amenities: There is wheelchair access to the trail as well as information and toilets along the way. Opening hours and costs: The trail is open to explore FREE of charge daily. 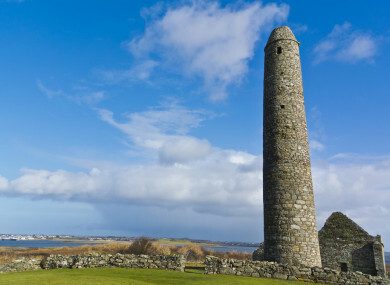 Scattery Island is home to a monastic settlement founded in the sixth century by St Senan who was born locally. Teampall na Marabh church on the island dates back to medieval times and the ruins today contain original markings as well as a round tower within the grounds. Over 200 dolphins inhabit its waters and visitors can enjoy views from the island. Amenities: There are cafés and toilets on site. There is wheelchair access on request. Opening hours and costs: The site is open 10am-6pm and ferries depart from the Kilrush marina daily weather depending. Guided tours cost €20 for adults, children aged 3-12 are €10, family tickets are €55 and seniors/students are €17. Thanks to Clare County Council heritage officer Congella McGuire for her recommendations. LATER: This evening’s we’ll bring you the Top 5 must-sees in Cork, while tomorrow it will be the turn of Donegal and Dun Laoghaire/Rathdown. Email “Your summer in Ireland: 5 must-see sites in Clare”. Feedback on “Your summer in Ireland: 5 must-see sites in Clare”.